We are all facing the similar challenges. How to get engagement from the business? How to approach big tasks such as large content migrations? Decisions around which tools to use e.g. SharePoint, OneDrive for Business, Yammer, Groups, Teams or something else! Many of us aren’t confident they are doing things “the right way”. We all need validation of our approach from others. Conferences are good for this. Office 365 should be “owned” by the business and not the IT Department. The business can leverage features of the platform to change the way they work, become more efficient and make information accessible. A knowledge management strategy only works if someone re-uses information. To be successful, make sure relevant content is easy for users to find, recommend related content and use profiles to make people with related expertise findable. We all make mistakes because technology is hard, but people are harder! Change management should be a core part of any digital workplace initiative. The single biggest message that came through loud and clear from almost every presentation I attended (technical and non-technical) was invest in the people side of projects, if you get this bit wrong, you will either fail or need to spend considerably effort remediating later. If you don’t have expertise in change management, find someone who does. Don’t under-estimate the effort and time needed. I picked up things that we could have done differently in future projects. The process of putting the presentation together, got me thinking where we had been successful and where we could improve. This was amplified by questions from the audience and lessons from other case studies presented at the conference. It highlighted areas for improving how the technology was implemented and different strategies for improving user engagement. The value of these lessons is only realised if you act and implement change using the things you have learnt. Don’t pick something so big that you can’t get a result, keep an eye on what is important to the business and engage the team. Guess what we will be doing over the coming days, weeks, months and years. If you are about to embark on a project, whether it is SharePoint, Office 365 or something else, reach out to the community and find out what others did well and what they would do differently. Focus on the business outcome rather than the technology and don’t forget to ask questions about the human side. I would like to thank PGG Wrightson Seeds for allowing me to share a part of their journey at the conference. This project has been truly transformational not only for the team at PGG Wrightson Seeds, but also for Stratos and our team. 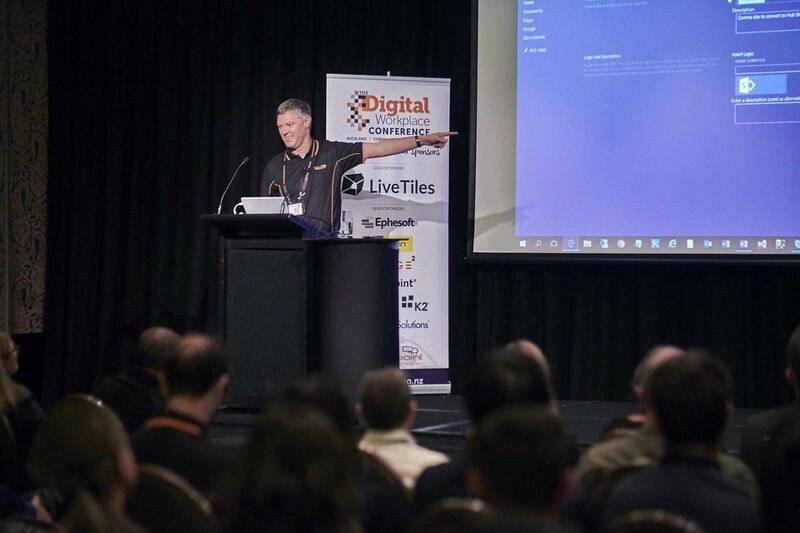 The Digital Workplace Conference is held each year in New Zealand and Australia. I highly recommend attending.